It is very crucial to keep your car air conditioning system in perfect condition, not to face inconvenience when you required the system the most. Your car air condition system not only keeps you cool and also removes the humidity from the air. So are you looking for perfect car air conditioning workshop in Dandenong to get some regular services for your car air conditioning system, then you are at the right destination at Prestige Auto works Dandenong offers comprehensive car air conditioning services Dandenong at affordable prices. We are specialized in offering road worthy certificates, log book services, 4WD services and repairs, tyre services and much more in Dandenong. It is recommended to get your car air conditioning system service for every 24 months. But yet, if you notice the car air conditioning system is unable to function as efficiently as before, then don’t neglect it. 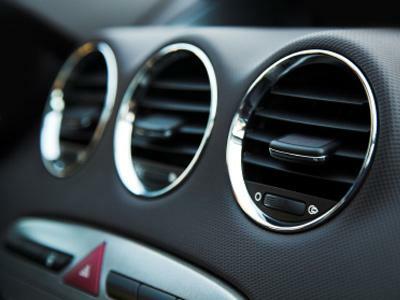 Ineffective car air conditioning system would cause a hassle problem in the future and it involves huge investment. Prestige Auto works Dandenong is an ARC licensed car air conditioning specialists in Dandenong and we have been serving trust worthy services for the past 20 years. Every vehicle that comes in for car air conditioning Dandenong to our workshop it is thoroughly inspected and tested, ensuring there are no leaks or faulty parts within the system. All our mechanics are hand picked who have years of experienced and high knowledge in car air conditioning systems Dandenong for all the vehicles including 4WD vehicles. Our aim is the deliver the services on time and on budget. After completion of the services, we go for a test drive to recheck anything going wrong or any air vent temperature goes beyond. We use the latest equipment for complete diagnostic the vehicle and for finding the faults in a timely manner. Auto electric service includes alternators, starter motors, lights and accessories. Would you like to know more info about our car air conditioning services Dandenong or want to book your car air conditioning services today! Then just make a call to (03) 9792 2372 or mail us at prestigeautoworks1@hotmail.com regarding your queries, so that our team will get back to you with appropriate solutions.